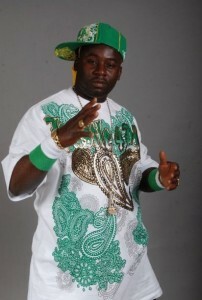 PLAY-B is a Netherlands based Cameroonian artist. NexDim caught up with him for an exclusive interview. Hi Play B. How are you? Briefly introduce yourself to us. I’m Play-B born Besong Stanislaus Besong in Mamfe, South West province, Cameroon. I attended GHS Mamfe before traveling to Europe (Holland). Why are you called Play B ? Play-B represents my nickname ”Play boy” but I decided to use the last initial ”B” for Boy. When did you indulge into music? Actually I was born in a family where almost everyone is involved with music. I used to dance but couldn’t really develop my skills because I never had the means to do so till 2005. Describe your genre of music and your targeted audience. My music is RnB, Hiphop, Reggae,Reggaeton , Dancehall and world music.My target group should be the youths and people worldwide who love my grooves. How many albums do you have in the market? 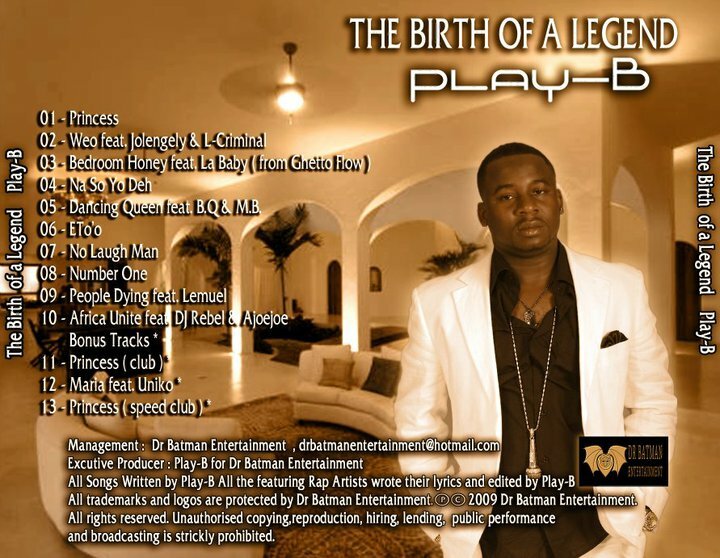 My one and only album is titled ”The Birth OF A Legend” .It’s not yet released in Africa. Has your music career been a success so far? Do you live large from music? Not yet. Music is my part-time job. Tell us about your music label. Dr Batman Entertainment represents me and my vision of helping to shape music in Cameroon and Africa in general. We produce and promote music and movies. What’s your evaluation of the music scene in Cameroon? Music in Cameroon so far has lots of problems . For example, artists lack the proper funding and support they need to uphold the highly competitive entertainment business. Describe your relationship with other Cameroonian artists. Haven’t had lots of contacts with other Cameroonian artists but looking forward in doing so. What is your impression about piracy in Cameroon and do you think can be done to curb this predicament. Piracy is a sad sad situation in Cameroon. I don’t think they know how many people they deliberately leave unemployed and the effect to the economy in general. The government should lower taxes and help bring down the prices of original Cds. Coz I personally think those prices are a bit expensive for the people. Which artist would you like to collaborate with in future? I’ll like to do a featuring with every artist within my genre of music like X-Maleya. Coming to Cameroon to officially introduce my label and meet some people who are ready to take on this road of hard work and dedication. Tell us your best Cameroonian dish. What kind of music do you often listen to? Depending on my mood, I listen reggae, RnB, hip hop, rock,dance, Makossa, High life, dance-hall, batchata, lots… just nice tunes and good lyrics. Your last words to Cameroonians. Let us come together and build a good and prosperous Cameroon and Africa as a whole . A place where everybody will have the opportunity to excel and serve his people and reach their dreams. Welcome. God Bless us all.